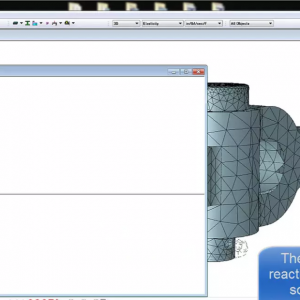 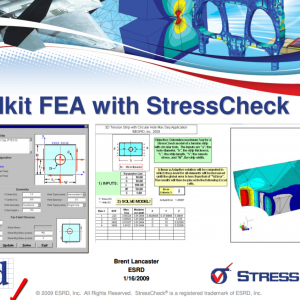 StressCheck Demo: 2D Margin Check Analysis | ESRD | Engineering Software Research and Development, Inc.
Abstract: A 2D Margin Check Analysis Demo video is presented for a link geometry under limit loads. 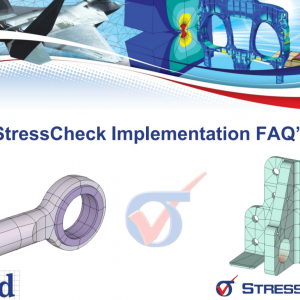 Margin criteria are defined based on a prescribed critical strain, and a load stepping is performed until the margin criteria are exceeded. 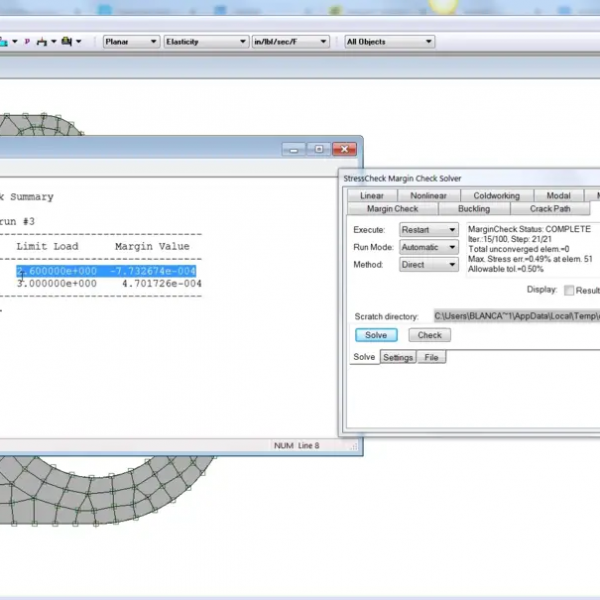 Categories: Margin Check Solver, StressCheck Core, StressCheck Professional. 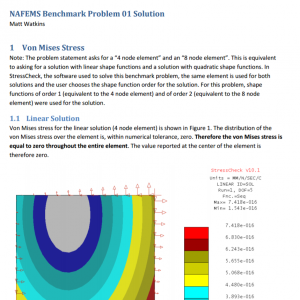 Tags: Convergence Extraction, Detailed Stress, Margin Check Analysis, Material Properties, Nonlinear Analysis, Nonlinear Stress, Parametric Modeling, Plot Extraction, Points Extraction, Results, Theory.